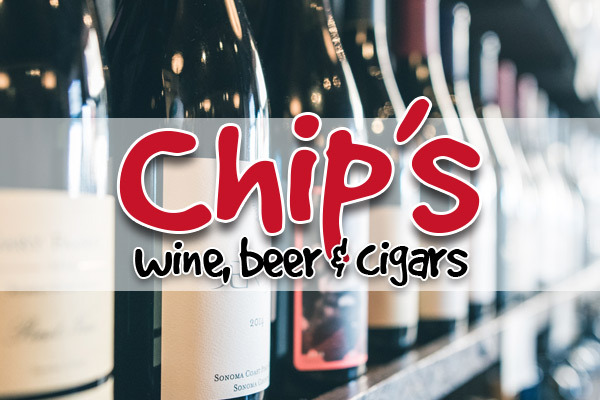 Chip’s Wine, Beer & Cigars has one of the largest selections of wine and beer on the Outer Banks, with more than 2,000 wines and 600 beers. Our family-owned store features discount prices, a hand-picked selection and expert, friendly service. Our shelves are stocked with wines from every growing region and our Great Wall of Beer has more than 600 beers to choose from. While you're here, relax in our tasting lounge for wine tastings, wine & beer flights and much more. Our six rotating draft beers are available by the pint, flight or growler, or visit our wine tasting machine to sample a selection of our favorites. Guest WiFi is available in the tasting room. Cigar lovers will want to check out our well-stocked humidors. Whether you’re looking for the perfect wine for a romantic dinner or something new and delicious to sip at home tonight, we pride ourselves on helping you make the right selection. We can also help you choose the right amount of beer & wine for your wedding or special event! If you're looking to expand your wine knowledge or just try something new, we offer a variety of wine tasting classes, private tastings and other special events. Keep an eye on our website and Facebook page for event details, or contact us directly to inquire about a private tasting. In addition to an extensive selection of wine, beer and cigars, you'll also find a variety of gourmet food items, chocolates and local products. Visit the attached Outer Banks Olive Oil Company where you can taste over 45 different oils and balsamic vinegars. Browse our selection of beer and wine gifts and accessories, t-shirts, pint glasses, mugs and much more. More than 2,000 wines and 600 beers, cigars, gourmet food items, drinkware, Outer Banks Olive Oil, custom gift baskets and more! Voted Best Wine and Beer Shop on the Beach, Chip's offers a vast selection of wine and beer. Join us for tastings, classes and special events. Relax in our tasting room where you'll find wine tasting machines and draft beer (pints, samplers & growler fills available).